California would be fast tracked as a State and the Village of Evergreen would become a town where immigrants could find the American dream coming true. 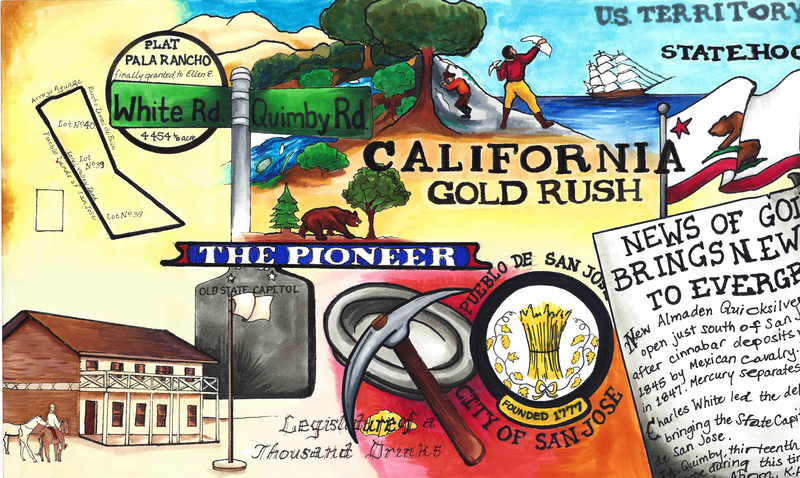 The same could be said of Willow Glen, Saratoga, Berryessa, Santa Clara, Alviso and other towns surrounding the Pueblo of San Jose during the 1850’s being turned into highly profitable orchards and vineyards. Many would find new homes in early Evergreen from back East, the Midwest and even Europe. This did, however, create stiff tensions between newcomers and the Mexican Rancho owners across Santa Clara Valley. These tensions would come to a head in Evergreen with a “Settlers’ War”, culminating in a fight over Squatters’ and Homesteaders’ Rights. 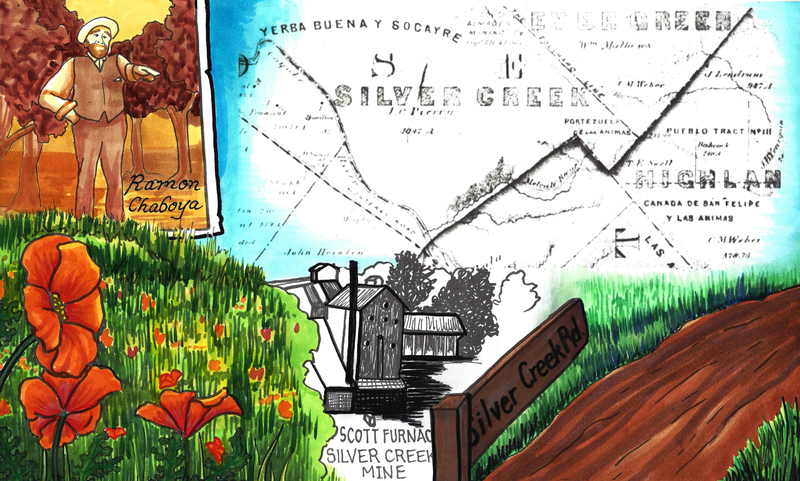 Rancho Yerba Buena Socraye is the boundary of Evergreen, so its stories are our stories. 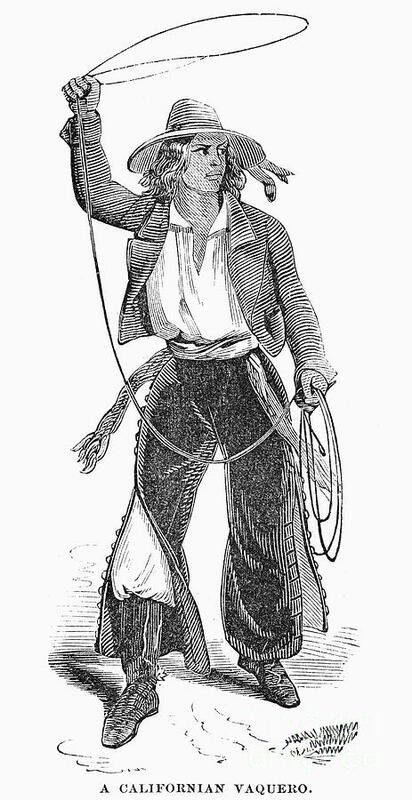 Marcos Chaboya and his family, as Californios, would come to the Santa Clara Valley in the 1820’s to settle the area with vast herds of cattle. I have varying sources as to whom sponsored Chaboya’s trip, the Spanish or the Mexican Governments. 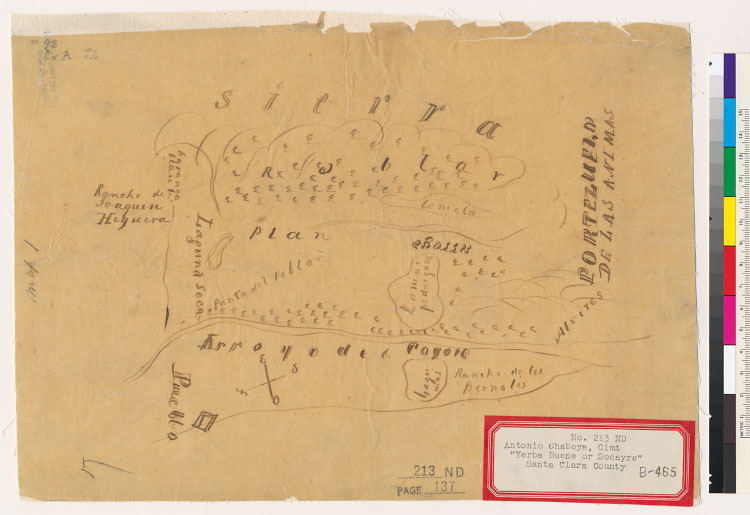 Antonio Chaboya would be granted over 24,000 acres of Rancho Yerba Buena in 1833 by the Governer of Alta California when California was a new Mexican territory. The boundaries of his rancho create the modern boundaries of the Evergreen Community. Antonio’s brothers would also be granted land nearby in Santa Clara County. 24,000 acres is really hard to survey and keep an eye on on horseback. 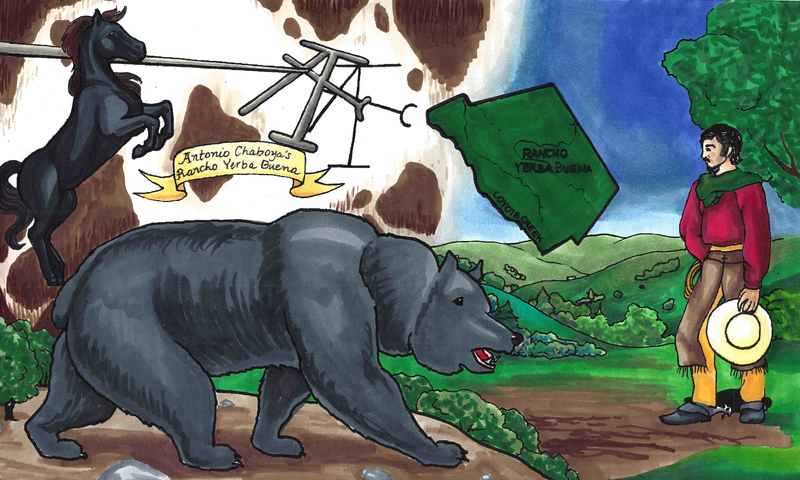 The Chaboya family and their ranch hands wouldn’t be able to ward off all of the Ohlone Natives, American settlers and European newcomers who would make a home at Rancho Yerba Buena. Don Pedro Chaboya would lead the charge to run off returning indigenous people from the ranchos in the 1820’s. Antonio Chaboya’s brothers, owning ranchos nearby, would suffer a similar fate. California was recently accepted into the Union as a full fledged State, and these events were some of those growing pains. So, what’s the United States Government to do about a Mexican land grant it upheld in court in the new State of California and the American Dream it promised to new Californians? John Aborn would immigrate from England to California through San Francisco as early as 1833. Aborn, for which Aborn Road is named for, would be a veteran of the Mexican American War and the Civil War. He would also be named as a defendant by the Chaboya family for illegally homesteading on his property, or “squatting”. People liked this defendant so much, they named a road in Evergreen after him! He married a Donner Party survivor. 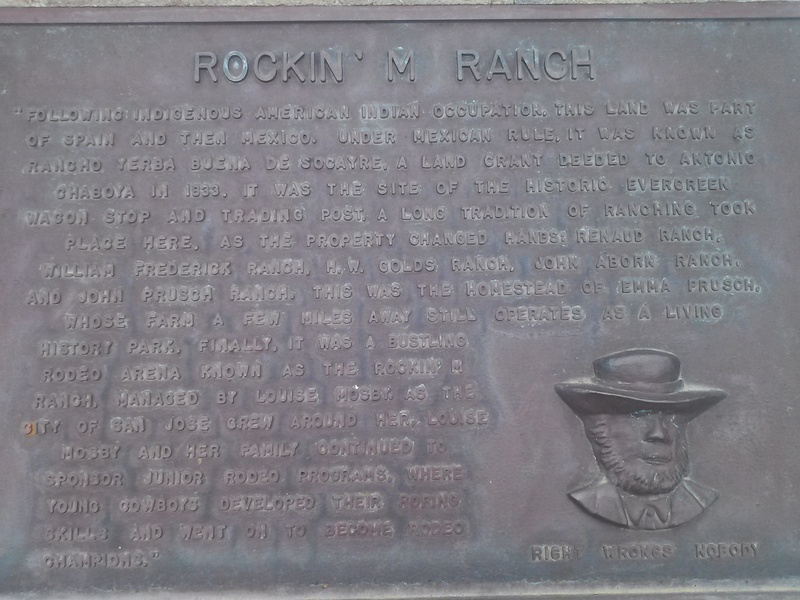 The word on the street, rather the plaque, is that he held a popular rodeo back in the day off Neiman Boulevard and Capitol Expressway. How are you gonna deny this man his rights after fighting for your liberties? Let’s back up. What brought on the hostilities in Evergreen?Antonio Chaboya would first appear in court in front of Justice McKee to evict farmer John Tully, an Irish immigrant, from Rancho Yerba Buena in 1856. This decision was a compromise. Chaboya would have to sell his land for a fair price. John Tully wouldn’t be evicted and paid $900.00 for the fine in 1858. In 1861, John Tully would come up with $4,400.00 for the real estate having gone through proper channels. After this point, Homestead Laws would dictate that a farmer would need to live and work on the property for 5 years and that only 160 acres could be obtain through this avenue. 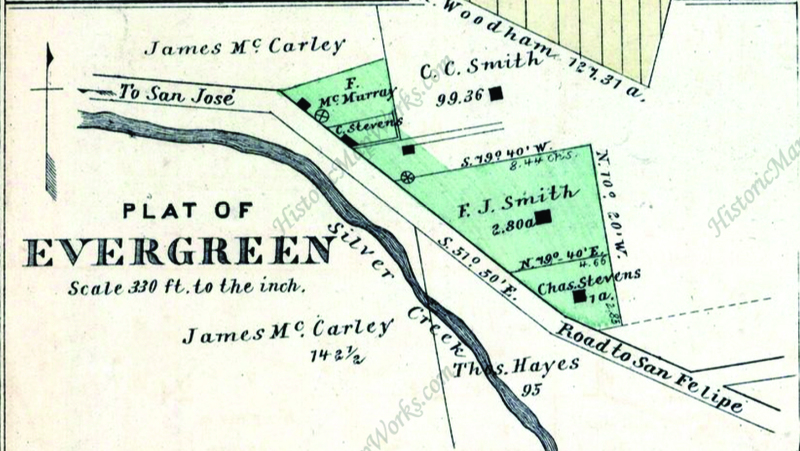 Judging by this map in 1866, this was probably the John Tully property being fought over. Chaboya’s land grant was patented by the US Government and upheld in 1858. Did John Tully’s case create a poor precedent for Chaboya’s grant or did it provide opportunity to pursue monetary damages? 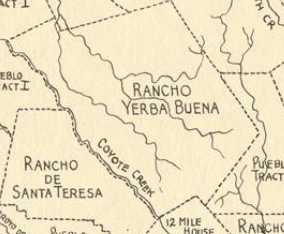 In 1858, Rancho Yerba Buena would be defended again from newcomers. These named defendants were Chauncey C. Barbour, Truman Andrews, William Raymond, Thomas J. Baxter, Benjamin Kenny, John Aborn, Andrew Gheringer, Thomas Farnsworth, George Osteck, Jacob Newhouse, Patterson Barnard, William McClay and James M. Bottsford. Antonio Chaboya would name these thirteen families even though approximately 500 people occupied Rancho Yerba Buena illegally. These Evergreen residents would have just be looking for their space in a growing country, finding their way to one of the prettiest, most inspiring places. I would try to hold on to my home, too. In 1860, Antonio Chaboya would be successful in court and be granted his eviction of the homesteaders, but there were riots as Sheriff John Murphy tried to enforce the law. The Sheriff of San Jose made several attempts to evict the new farmers from Evergreen. Here’s the thing. It’s hard not to empathize with the newcomers. 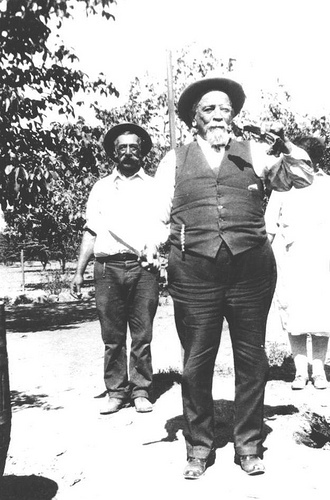 Antonio Chaboya had one of the largest ranchos in all of California then upheld by the United States. Other ranch owners were loosing their court battles and their ranchos, including Antonio Chaboya’s brothers. Chaboya couldn’t even have it surveyed often enough to keep people from setting up shop long term. 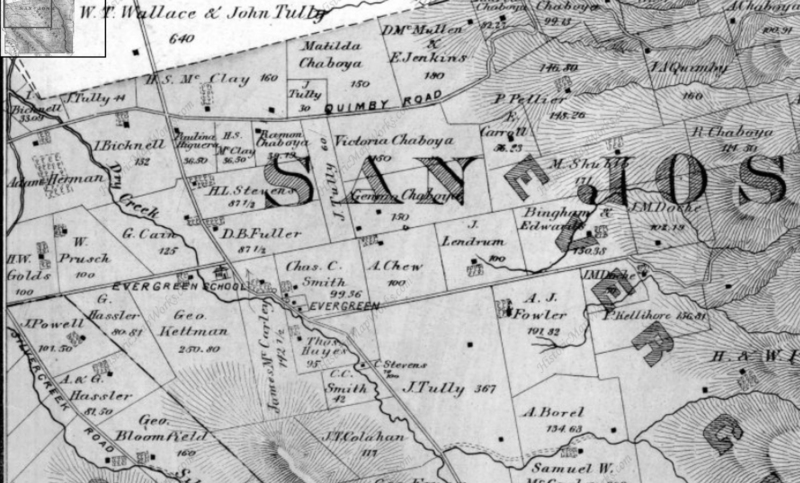 In 1861, Evergreen residents would have the support of the rest of Santa Clara County. Sherriff’s officers didn’t want to arm themselves and serve the eviction notices and force farmers to quit their property. Of 600 Officers, none wanted to perform the duties asked of them so Sheriff Murphy excused them for their duty. Evergreen residents would march the 8 miles into downtown San Jose to St. James Park and the footsteps of the court to contest the eviction. During another attempt, the towns of Saratoga, Berryessa and Santa Clara sent over 2000 troops in support of the new residents. Saratoga even brought a cannon to hold off the eviction papers. People in and around the City of San Jose would come to Evergreen’s aid and empathize with their struggles. 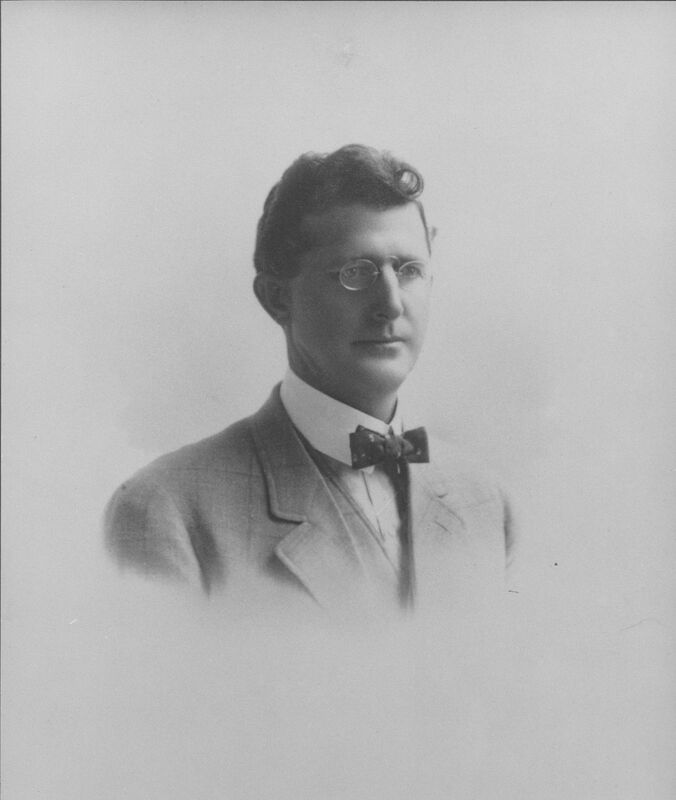 The Sheriff Murphy must have supported Evergreen farmers in some way, because he later married the daughter of John Aborn, Miss Maddie. Rancho Yerba Buena and Antonio Chaboya was now saddled with a ton of debt mounting from his legal cases against squatters. The Chaboya family was land rich but cash poor. He couldn’t also continue to pursue this eviction and hold on to his property. Antonio Chaboya pursued the peaceful solution which would change Evergreen forever. First, Antonio and his family settled debts to his team of attorneys by parting away the asset he had in abundance, land. Lawyers J.B. Hart, Hiatt R. Hepburn, Henry Wilkins and William Matthews would be the first legal residents, along with John Tully, of the Evergreen are. The lawyers would be compensated for their legal fees in the sale of these large properties. 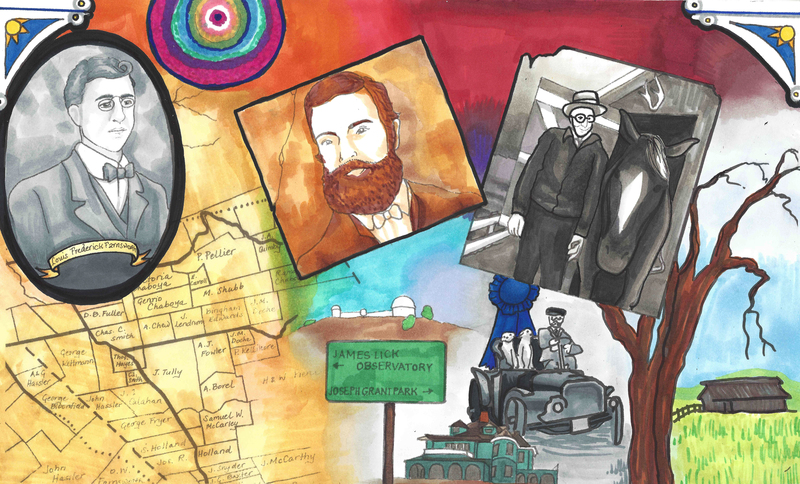 After portions of Hart’s property and Matthews’s property were sold to farmers like the Smith Family, James McCarley and the Stevens Family, the Village of Evergreen was born, with an epicenter of Evergreen Road and San Felipe and White Roads. 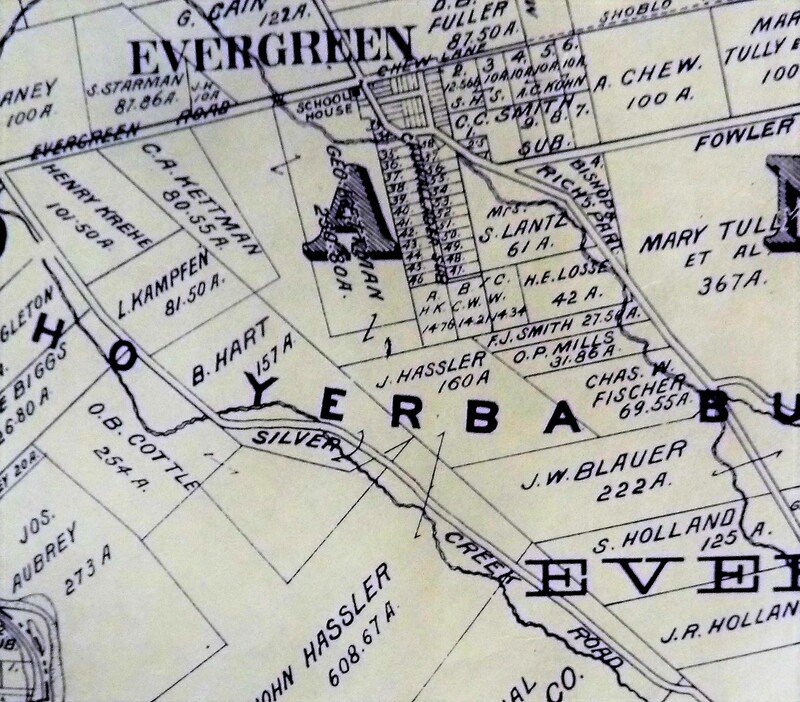 Antonio Chaboya’s family would finally profit off of the sale of their own real estate in 1875 with the sale of John Hassler and George Kettmann acquisition off of then Evergreen Road. From this transaction, life long friendships would be made between the Kettmann and Chaboya clans. 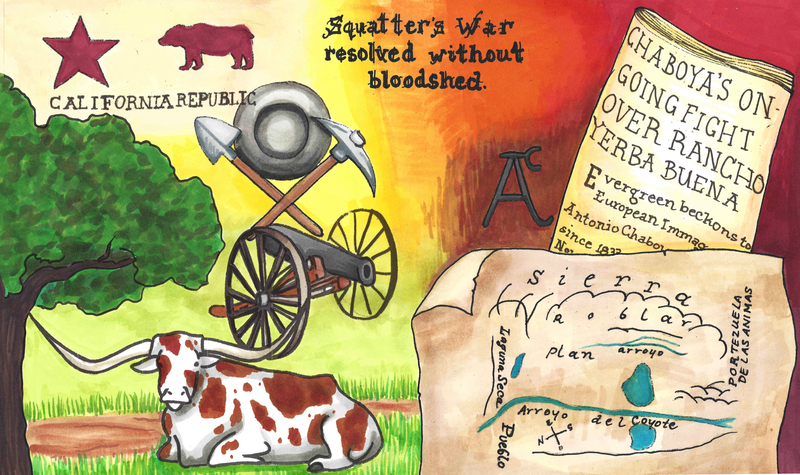 The Chaboyas would come to grips with the changing times and downsize their lands considerably. 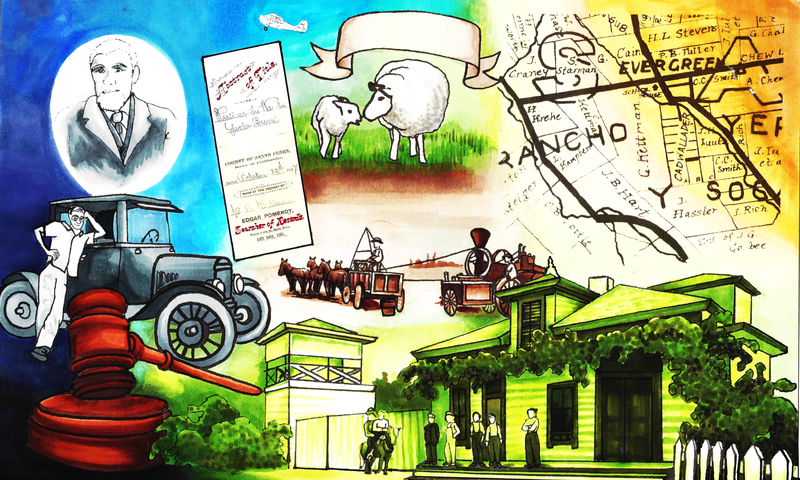 The Chaboya family would continue to own farms up and down Quimby Road for another 50+ years. In Evergreen, this was huge news at the time. It would soon be an event everyone wanted to forget quickly. Evergreen farmers like John Aborn, Thomas Baxter, Thomas Farnsworth, George Osterk and William McClay would stay in town and raise their families in Evergreen even after the court cases and eviction situation. Though not a non-violent protest, luckily this was settled without bloodshed. It must have been so hard to part with the big, beautiful Rancho Yerba Buena, but what the Chaboyas made room for was for new neighbors and a developing California. Soon after, Evergreen would be planted with orchards, vineyards and hayfields. Here’s some of the artwork that incorporates these players, even if we omit the event for the most part.